Incomedia has a great spring offer with 35% off WebSite X5 Evolution and 35% off WebSite X5 Professional. So you get the excellent web design software more than a third cheaper. The WebSite X5 offer is valid until 30.04.2019. WebSite X5 is one of the best offline homepage / web design programs on the market which allows you with an intuitive, very logical user interface to put together your own own feature-rich and visually appealing homepage, without the need for HTML or CSS knowledge. Nor do you have to install scripts yourself, the uploading of all necessary files is taken care of by WebSite X5 for you. A database is only needed if you want to create an online shop, so that in many cases a fairly low-cost small web hosting package is sufficient. Another advantage is that the creation of your own website, can be done mainly offline, which is especially useful for users with poor Internet connections. 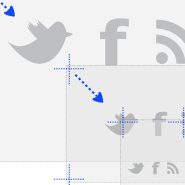 Last but not least, you can work on your site in peace and publish online or update only once you are satisfied wth your homepage. In addition, the program also offers many templates, which you can individually customize. Many templates are free, others while chargeable, but still at low cost. WebSite X5 also supports responsive design, which enables your homepage to be displayed optimally on a wide range of end devices thus even smartphone visitors can be offered an optimally presented website. 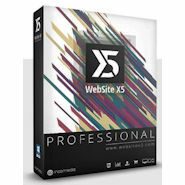 If you’re looking to sell your products online, then WebSite X5 is also a good choice with quite extensive online shop functionality, whereby here the WebSite X5 Professional Edition would be the right choice. WebSite X5 Professional offers an extensive range of features for your online shop from beautiful product pages, payment procedures and discount campaigns to user registration and direct delivery. WebSite X5 Professional not only enables the sale of physical products, but also the sale of digital products. So if you’re interested in selling downloadables, e.g. 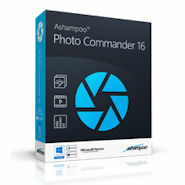 photos, eBooks or software, taking a look at WebSite X5 Professional may be worth your while. The program pays off quite fast compared to the rent of an online shop. WebSite X5 can be installed on up to 2 computers per license and can be used without any time limit. 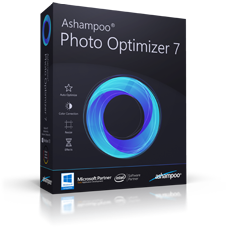 The program is not subscription software and so there are no monthly costs. New licences include 12 months free updates (so called update protection), so that you always receive the newest versions within the 12 months. Update protection can be extended for a fee. If you do not want to do that, you can still continue working with the latest version of the WebSite X5 version without further costs or time limits. 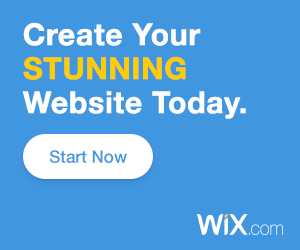 WebSite X5 is a highly recommended and very good program for creating astonishing home pages, from a simple structured (and responsive) web site to very complex websites or even your very own online shop.